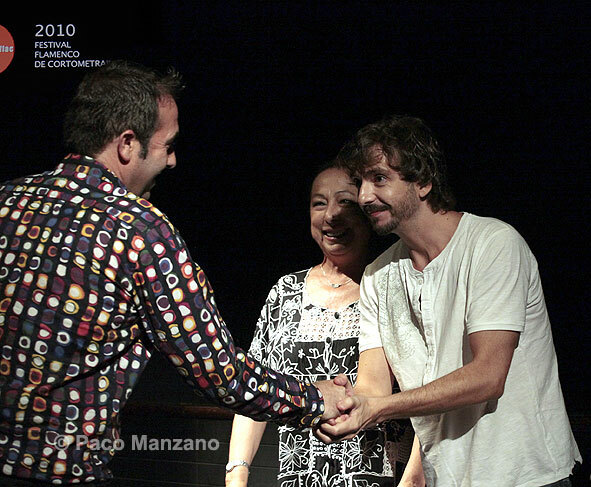 3rd PRIZE FFLAC 2010 (Short-films Flamenco Festival) "INVERNADERO"
6' 50" / 2010 / Madrid, Spain. 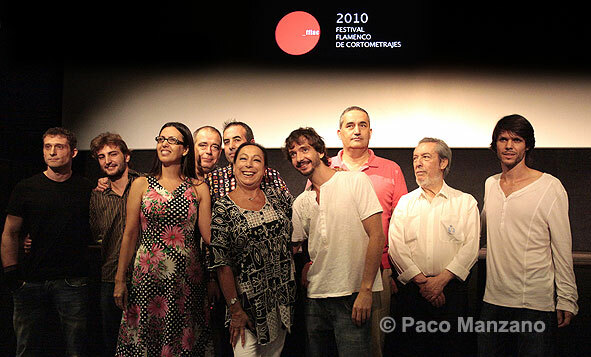 The award-winners with the organizers and Cristina Hoyos, the chairwoman of the jury: Ramón Moreno, Jesús Pulpón, Luciane Franco, Paco Millán, Rafael Manjavacas, Cristina Hoyos, Mariano Cruceta, Teodoro García, Alfonso Eduardo Pérez Orozco, Charles Olsen. Guillermo Lambán et Rakel Palero from i-Tek.es (producers of the audiovisuals of "Invernadero" with the winners of the FFLAC 2010 and their crew. Jesús Pulpon, Charles Olsen, Mariano Cruceta and Caroline Planté at the Festival Flamenco de Nîmes.